Welcome to College Goal Arizona! College & Career Goal Arizona (C2GA) is a statewide initiative, that you can be a part of, consisting of three programs the Arizona College Application Campaign, College Goal FAF$A and FAFSA Finish Line. These programs are described below. The Arizona College Application Campaign (CAC) holds workshops at high schools around the state, bringing together high school seniors with volunteers who help them through the application process. College Goal FAF$A holds workshops around the state to make completing a FAFSA easy. College Goal FAFSA takes place statewide at high schools and community sites throughout the FAFSA season. "I filled out my FAFSA! And it was easier than I thought it would be." "[My parents] weren't sure they would be able to afford the best education for me." FAFSA Finish Line is the third piece to the College and Career Goal Arizona initiative. After completing a data sharing agreement (for the school) and a user agreement (for counselors) counselors can then upload a roster of their seniors to the azgrants website. They can then download the student specific information to follow-up with the students who still have sections of the FAFSA to complete. 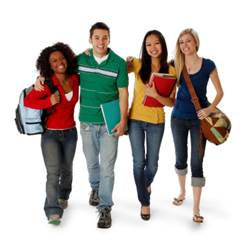 Pay4CollegeArizona is a resource that provides information for learning about financial aid.